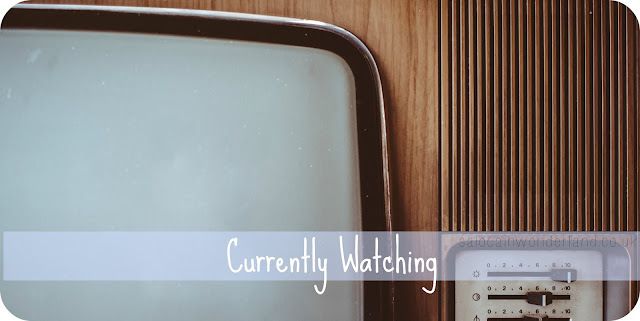 The nights are getting darker, colder, and I'm finding myself curled up on the couch under more and more blankets with more and more candles being lit by the night, so of course, I've been getting through a fair bit of TV. Let's have a look at what the remote's been landing on lately! I am obsessed with anything to do with aristocracy, high society, Royals, court drama and scandal, the life and times of the rich, the glamorous and the scandalous that have come before us. I’ve been loving this look at the rather rich and rambunctious American princesses who married into English titles, had their hearts broken, who broke conventional society rules and who paved the way for all those who came after them. I’ve just finished season 2 and it was just as amazing as season 1. I’m not even going to pretend like I know what happened throughout most of the latest season but it had me enthralled from episode 1 and it’s nice to see them keep moving forward, with complex character development and a surreal journey into the characters psyche that has you questioning everything you’ve seen them do for 2 seasons! Hands down, season 2 is better than season 1 - and I really enjoyed the first season but the villans have stolen the show! I still can’t quite get my head around Ben McKenzie as Jim Gordon, I mean I love him and it works, but he will forever be my Ryan Atwood! Well, who isn’t watching this now it’s made a 7 season appearance on Netflix? I remember watching the odd episode with my Mum years ago, she was a huge fan and she would watch so many I could never catch up! It feels like the perfect on the couch with a brew kind of show that just gives me all the feels. I can’t watch a single episode without a cake of some sort (preferably themed to match the theme that week) in one hand, and a brew in the other. It just has to be done. I did plan on baking along this year but well, that just hasn’t happened! I am itching to get baking again though so you might get lucky and see a few Bake Off inspired bakes appearing on Instagram! Eeeek!! I am in love with this show and have been since season 1, but when I realised what season 6 was going to be based on - OH I hope it’s going to be as good, if not better than Coven, which has been my favourite season by far! I love the whole mystery and conspiracy around Roanoke so I can’t wait to see their terrifying take on it! Remember how I said I love things to do with the monarchy, Royals, the courts etc? I do love a good period drama and I’ve been loving ITV’s Victoria. I find her a fascinating monarch and I am surprised by how much I like Jenna Coleman as Victoria, though she hasn’t quite beat Emily Blunts portrayal just yet! I'm so excited to see what happens in American Horror Story! EEE I hope they keep on doing them. Love the actors in it! Me too! Two episodes in now and it's been so good and creepy! I can't wait to see where it goes, I love seeing who's still in it and the different characters they end up playing every season! It's nice to see the same faces coming back each year! I'm loving Mr Robot Season 2, but I really didn't like the first few episode! It definitely picked up though and now I'm totally obsessed! I finished watching it this more and WOW there better be a third season because the way it ends is just so, so, ohhhh, so good!! Do bake along the Bake Off, it's so much fun. Although I did cry over my 1st batch of Viennese whirls, but the 2nd one was great. I want to watch Victoria, but didn't got the chance so far. I really will have to attempt a couple of the bakes! It would be so much fun and good practice, plus it's things I've never tried to bake before! I can imagine I'd be crying more than once or twice that's for sure! I cry making pancakes and they don't work out haha! I'ma huge fan of AHS, and I really can't wait to see what happens in the next episodes!! Thinking about watching all the series again on Netflix, my favourite has been Freak Show so far - but I hated Hotel. I enjoyed Hotel! It was my fave but it's certainly in my top 3 seasons! I started re-watching Coven, that season was amazing! I love how they're all so rewatchable!